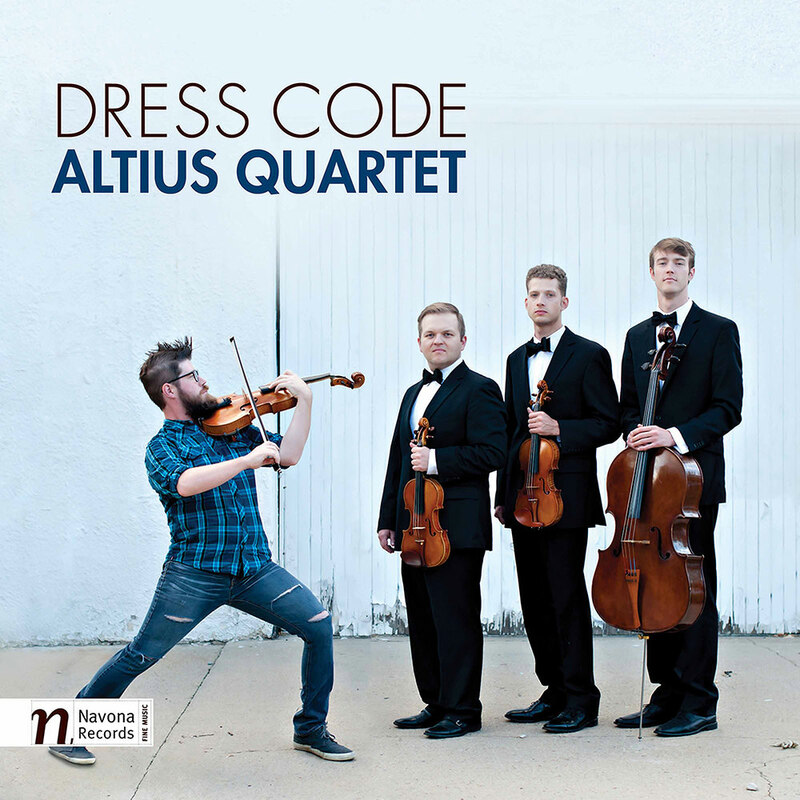 The Colorado-based string ensemble Altius Quartet proudly presents its debut album Dress Code, a programme designed to appeal to a wide range of musical palates. Each work is derived from a universal source of invention and innovation, representative of the times in history from whence they came. Interspersed between the more contemporary selections are movements of two classical pieces from vastly different eras. Drawing from the period themes of Haydn and the ragtime sensibilities of William Bolcom, the quartet emulates the playfulness of the compositions in a way which makes for seamless transitions between the more mainstream songs. These popular staples include Led Zeppelin, Ben E. King and a-ha, but perhaps the most interesting and unique arrangement is Take It, an unlikely pairing of Michael Jackson’s Beat It and Dave Brubeck’s Take Five. The result is a bold endeavour which pays equal homage to both while creating an invigorating original track that effortlessly combines classical, jazz and pop.